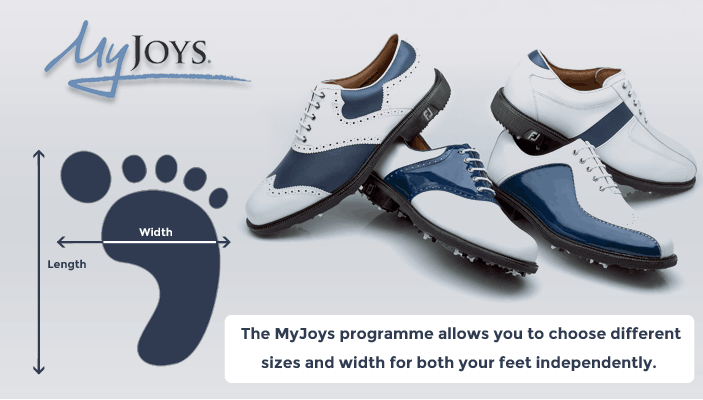 Simply follow the instructions to build your very own MyJoys shoes by clicking the button "Build MyJoys and Add to Basket" below. You can also email your Design to yourself or your friends for own records, and to us, by clicking the 'Email Summary' link below in the end. Proceed to checkout and complete your purchase. 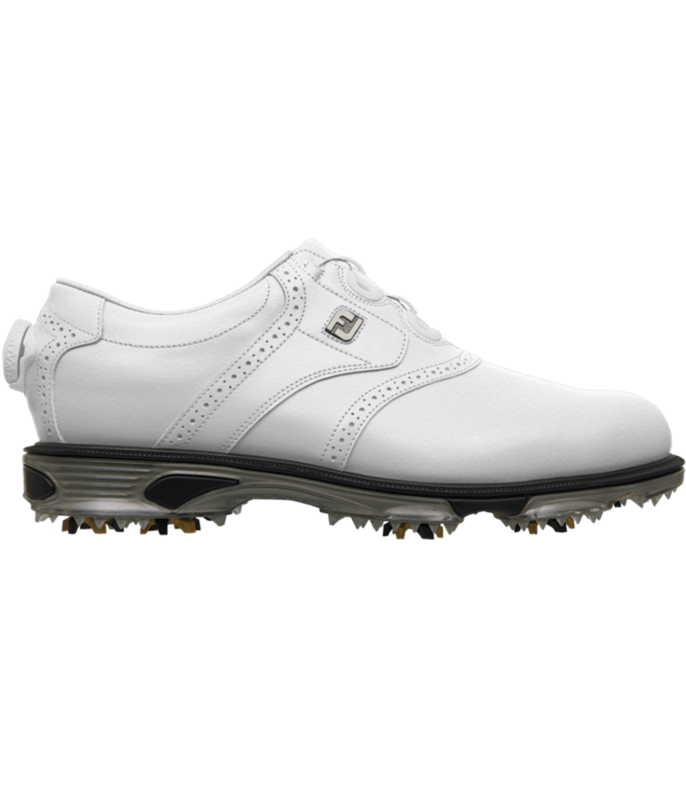 MyJoys golf shoes will be delivered to you in approximately 4 to 5 weeks. 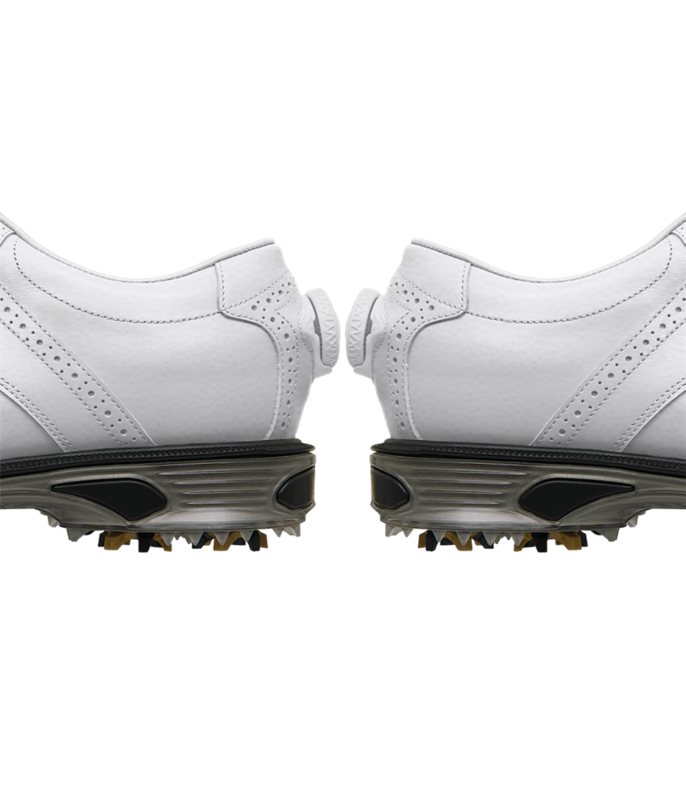 The perfect programme that lets you customise the #1 brand in golf shoes. A custom pair of MyJoys can be completed in 5 easy steps! 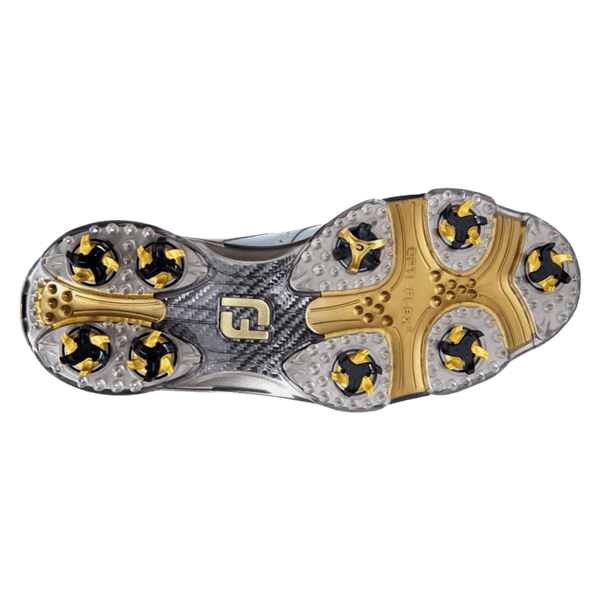 To place an order for your MyJoys either print out or email your specification to us we will in turn contact FootJoy to place your order. 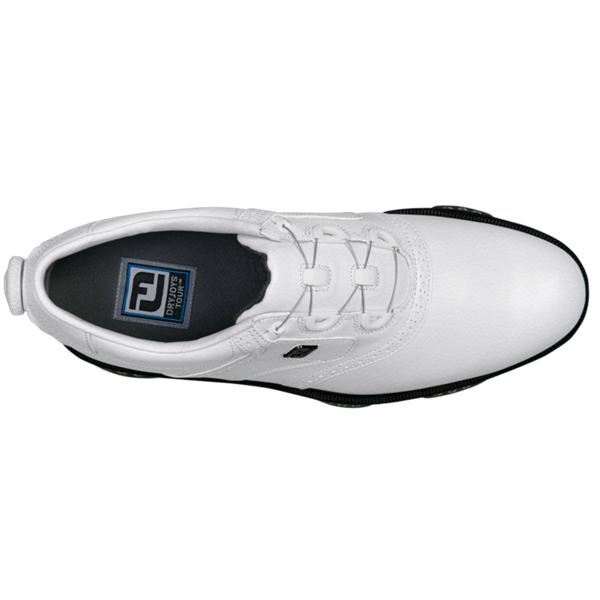 Your customised FootJoy MyJoys golf shoes will be delivered to your designated delivery address in 3 to 5 weeks from order. 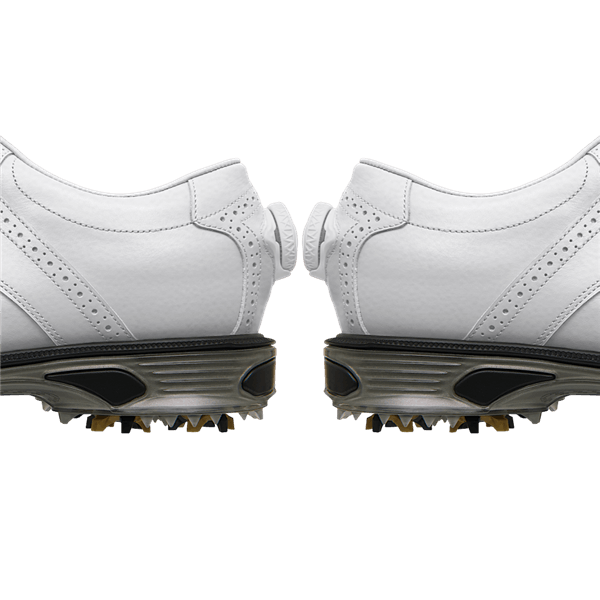 Since MyJoys shoes are built to your unique specifications, NO ORDER MODIFICATIONS OR CANCELLATIONS CAN BE ACCEPTED. Lead time 3 - 5 weeks. No Cancellation or refund once the shoes has been ordered. 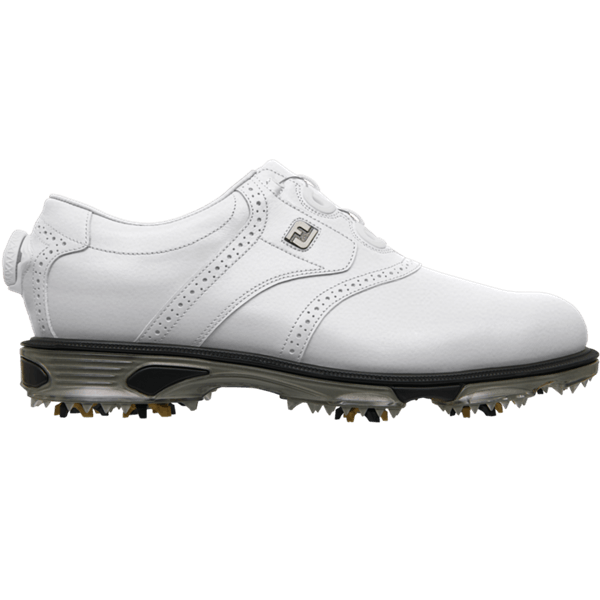 No exchange policy apply on the purchase of MyJoys shoes. 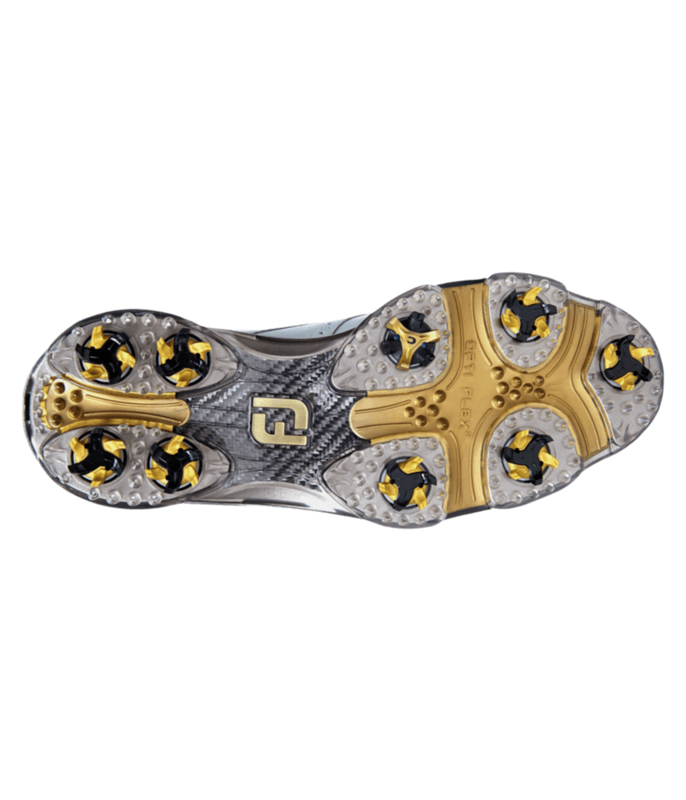 FootJoy reserves the rights to refuse any inappropriate messages or copyright issues on personalisation. 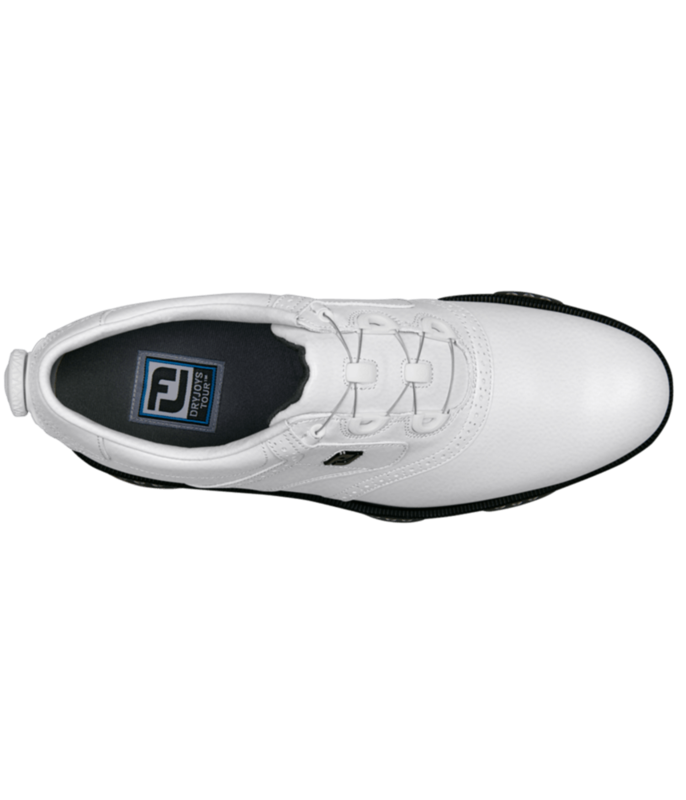 On purchasing MyJoys shoes, you are bound by the Terms and conditions of FootJoy, as set out on their website. Click here to view full terms. The #1 waterproof brand in golf. Strategically placed Stability PODS™ work in harmony with enhanced OptiFlex™ zones to deliver maximum Flextability™ throughout your swing.